On Venice's famed isle of Murano, glass masters keep alive the art of lampworking. Over 300 glass beads are hand-strung to create this graceful necklace. 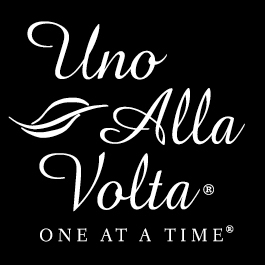 Each bead is individually made over a hot flame, uno alla volta. 20'' long with a 6'' drop and lobster clasp. Gold-plated findings.